I combine strength and conditioning test results with a physiological test to identify what is the best paces and exercises for conditioning. If you have a chance to get tested in our Lab, that will provide the groundwork for what will be future of gains for years to come! We look forward to working with you in your endeavors! Worked at the United States Air Force Academy under renowned strength coach, Allen Hedrick, where he learned to enhance the productivity of entire groups and teams. Through Tracy’s experiences, he has learned the crucial importance of individualized attention in order to achieve success. He’s motivated by any and all challenges and is truly committed to helping you achieve your individual Maximized Potential. Tracy has a knack for data and data analysis! He loves working alongside Dean Youngberg M.D. who provides medical consultation when needed for athletes and programming. Tests may include full body flexibility analysis, VO2 Testing, Strength testing and so much more! Success. 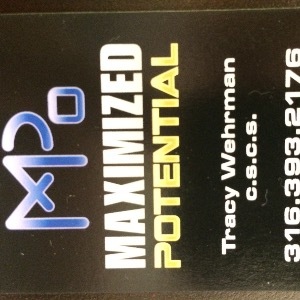 Coach Tracy Wehrman has been notified of your message.